Bound for Britain, with few possessions to call her own, Gertrude Naschitzki waved goodbye to her family. Some of them she would never see again, including her father, and only once would she return to her native Germany before her death in Edinburgh 60 years later. It was 1948, the war was over and in many ways 23-year-old Gertrude’s life was just beginning. But only now, after stumbling upon a suitcase of letters and diaries, have her children unravelled the truth behind her departure, her arrival in Edinburgh and a story that haunted her dreams all her adult life. 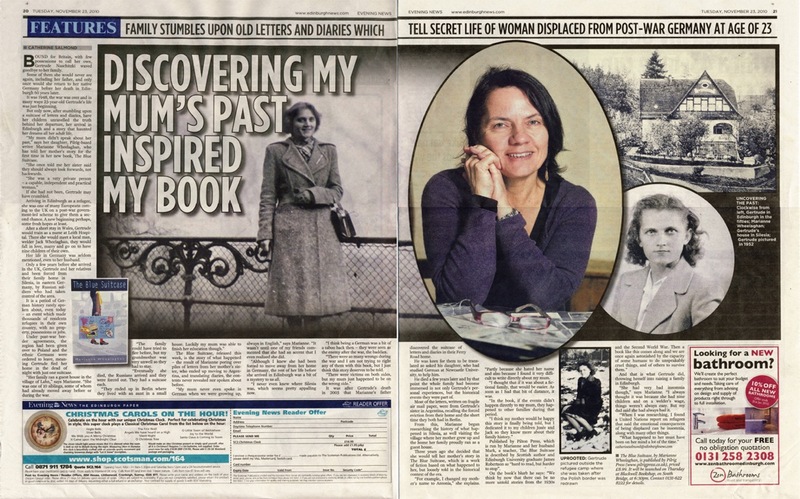 “My mum didn’t speak about her past,” says her daughter, Pilrig-based writer Marianne Wheelaghan, who has told her mother’s story for the first time in her new book, The Blue Suitcase. “She once told me her sister said they should always look forwards, not backwards. If she had not been, Gertrude may have crumbled. Arriving in Edinburgh as a refugee, she was one of many Europeans coming to the UK on a post-war government-led scheme to give them a second chance. A new beginning perhaps, some fresh hopes at least. After a short stay in Wales, Gertrude would train as a nurse at Leith Hospital. There she would meet a local man, welder Jack Wheelaghan, they would fall in love, marry and go on to have nine children of their own. Her life in Germany was seldom mentioned, even to her husband. Only a few years before she arrived in the UK, Gertrude and her relatives and been forced from their family home in Silesia, in eastern Germany, by Russian soldiers who had taken control of the area. It is a period of German history rarely spoken about, even today – an event which made thousands of residents refugees in their own country, with no property, possessions or jobs. The Blue Suitcase, released this week, is the story of what happened – the result of Marianne poring over piles of letters from her mother’s sister, who ended up moving to Argentina, and translating diaries, the contents never revealed nor spoken about before. “My mum never even spoke in German when we were growing up, always in English,” says Marianne. “It wasn’t until one of my friends commented that she had an accent that I even realised she did. “Although I knew she had been forced to move away from her home in Germany, the rest of her life before she arrived in Edinburgh was a bit of a mystery to us all. “I never even knew where Silesia was, which seems pretty appalling now. “I think being a German was a bit of a taboo back then – they were seen as the enemy after the war, the baddies. “There were so many wrongs during the war and I am not trying to right any of them with this book, but I just think this story deserves to be told. It was after Gertrude’s death in 2003 that Marianne’s father discovered the suitcase of letters and diaries in their Ferry Road home. He was keen for them to be translated so asked his daughter, who had studied German at Newcastle University, to help him. He died a few years later and by that point the whole family had become immersed in not only Gertrude’s personal experiences, but the historical events they were part of. Most of the letters, written on fragile air mail paper, were from Gertrude’s sister in Argentina, recalling the forced eviction from their home and the short time they both had in Berlin. From this, Marianne began researching the history of what happened in Silesia, as well visiting the village where her mother grew up and the home her family proudly ran as a guest house. Three years ago she decided that she would tell her mother’s story in The Blue Suitcase, which is a work of fiction based on what happened to her, but loosely told in the historical context of the era. “For example, I changed my mother’s name to Antonia,” she explains. “Partly because she hated her name and also because I found it very difficult to write directly about my mum. Under post-war border agreements, the region had been given over to Poland and the ethnic Germans were ordered to leave, meaning Gertrude fled her home in the dead of night with just one suitcase. 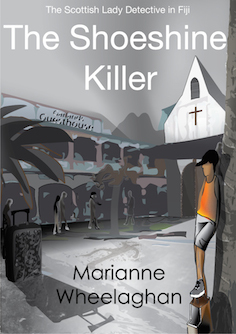 “Her family ran a guest house in the village of Lahn,” says Marianne. “She was one of 10 siblings, some of whom had already moved away before or during the war. “The family could have tried to flee before, but my grandmother was very unwell so they had to stay. “Eventually she died, the Russians arrived and they were forced out. They had a suitcase each. “They ended up in Berlin where they lived with an aunt in a small house. As soon as I had that bit of distance, it was. Published by Pilton Press, which is run by Marianne and her husband Mark, a teacher, The Blue Suitcase is described by Scottish author and Edinburgh University graduate James Robertson as “hard to read, but harder to stop”. And that is what Gertrude did, throwing herself into raising a family in Edinburgh. “She had very bad insomnia though,” says Marianne. “I always thought it was because she had nine children and on a welder’s wage, things weren’t always easy. But my dad said she had always had it. “When I was researching, I found a United Nations report on refugees that said the emotional consequences of being displaced can be insomnia, along with many other things. 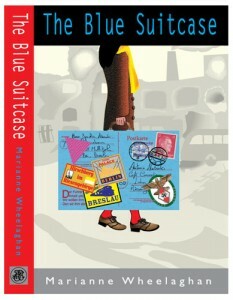 • The Blue Suitcase, by Marianne Wheelaghan, is published by Pilrig Press (www.pilrigpress.co.uk), priced £8.99. 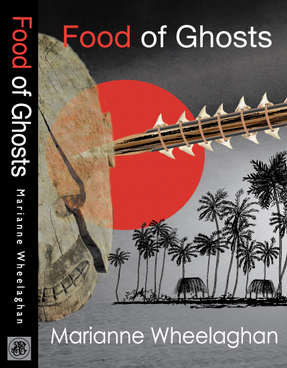 It will be launched on Thursday at Blackwell Bookshop, on South Bridge, at 6:30pm. Contact 0131-622 8222 for details.